Southport, CT - Discover how Egyptomania has influenced modern film, through a screening of the classic movie "The Yacoubian Building", set for Wednesday, December 12, 3-6pm, at Pequot Library, 720 Pequot Ave., Southport. General seating. No reservation required. Free and open to the public. 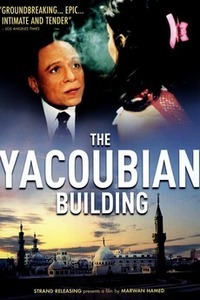 The Yacoubian Building (2006, 2h 52m) – Foreign Language Film.